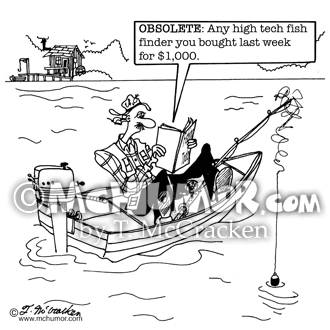 Fishing Cartoon 5263: A man in a boat reading the definition, "OBSOLETE: Any high tech fish finder you bought last week for mega bucks." 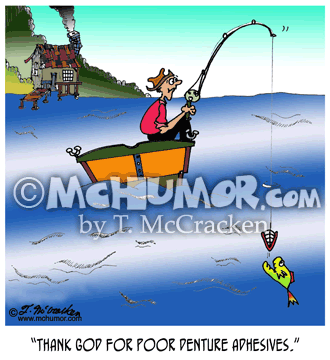 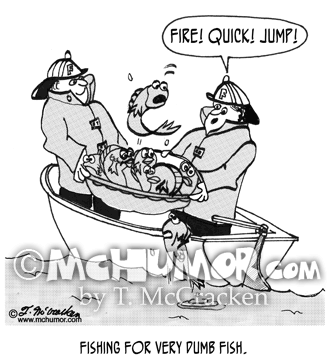 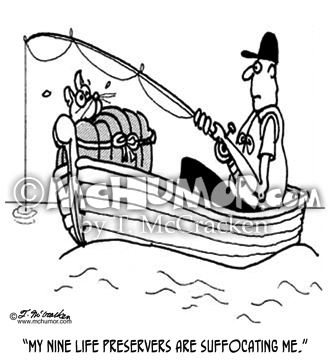 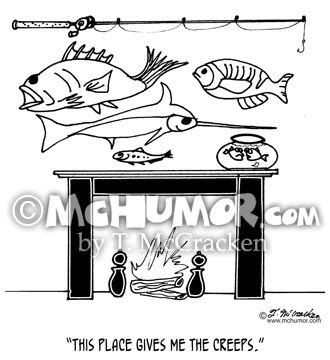 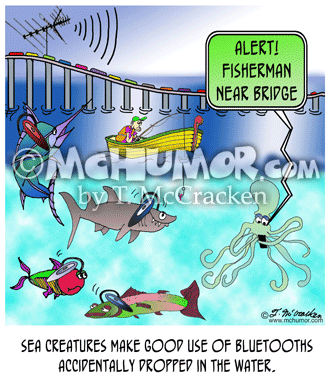 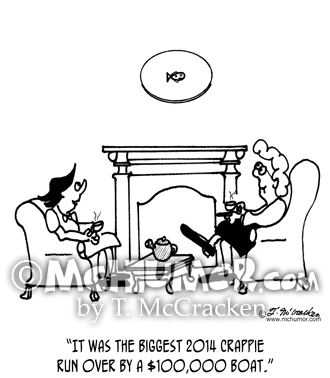 Boat Cartoon 4190: A wife says to guest looking at a tiny fish mounted on the wall, "It was the biggest 2014 crappie run over by a $100,000 boat." 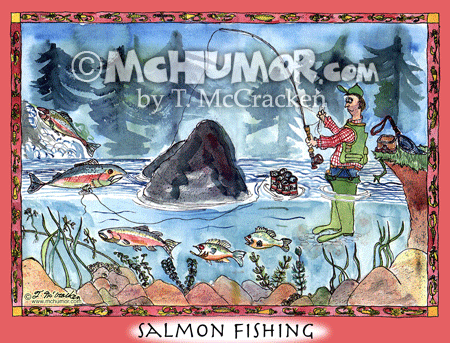 Salmon Cartoon 8012H: "Salmon Fishing." 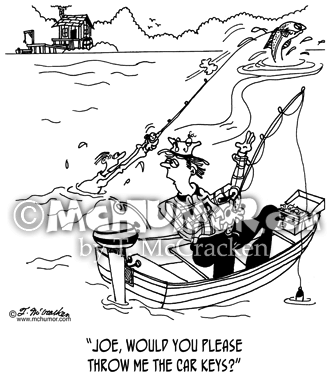 While a man fishes with a rod and reel a fish tries to tempt him with beer on a line. 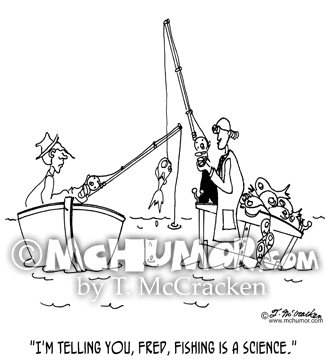 Fishing Cartoon 3598 A fisherman wearing a lab coat has boat full of fish says, "I'm telling you, Fred, fishing is a science."